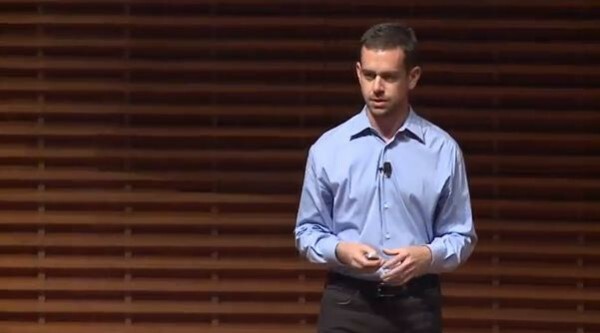 Jack Dorsey, a CEO I admire, is the co-founder and CEO of Square (a service I highly recommend for solopreneurs and small businesses), spoke to a student audience at the Stanford Graduate School of Business through the View From The Top series. Dorsey shares his story about how he came up with the ideas for Twitter (which he created and co-founded) and Square, which gives advice to the entrepreneurs and business students in the auditorium and thanks to Youtube, all of us. There is a moment in the beginning of this 44 minute video (around the 3:30 mark) where Dorsey begins to talk about about how he starts and thinks about a project. It’s not that he just begins with the end in mind, but that he specifically begins with an image or picture in his mind – and then creates images of all of the steps in between. He falls in love with the end product, but maybe more importantly, he ensures that he will enjoy the journey in between. If I could explore the world, if I could craft something and really learn how to build and how to build a vision of what I wanted to see in the world – I could do amazing things…always. The most important thing for me to do is to see a picture of where I want to go – see a picture of what I want to do in the world – and then figure out how to work backwards from that. William Gibson said, ‘The future has already arrived. It’s just not evenly distributed yet.’ This is exactly how we run our companies as well…An idea that can change the course of the company can happen anywhere in the company. The future is already in all of your heads and your work, everything you have to do in your life is to distribute it. If you thought this was interesting, you might also like My CEO Heroes or 20 Serial Entrepreneurs – An Analysis.